How to get Facebook Like Customized Box on Your Blog? Learn to create original Facebook Like Box to use on your Website or Blog. Prerequisites: Facebook Account, Blog or Website. Create your unique App Name suitable as per your website. Fill in Color scheme and select or unselect required options. It shows you a clear view to adjust the content. It asks you to select proper App ID, this is very important for monetization purpose, So select it properly and remember accordingly. This App ID must be preserved so that your summary, no. of likes remains intact. 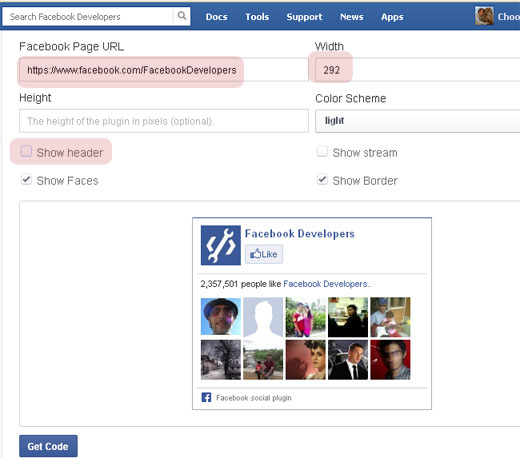 To modify Facebook Like Box sizes use highlighted codes to change values. Go to Blog's Layout Tab and click Add a Gadget. Copy above codes into it and save template. 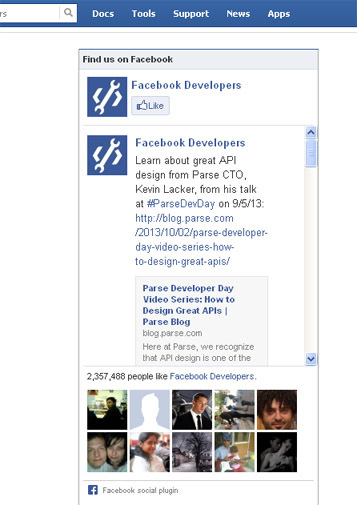 You are all set to go with your new Facebook Like Box properly created with Facebook Developer Apps.